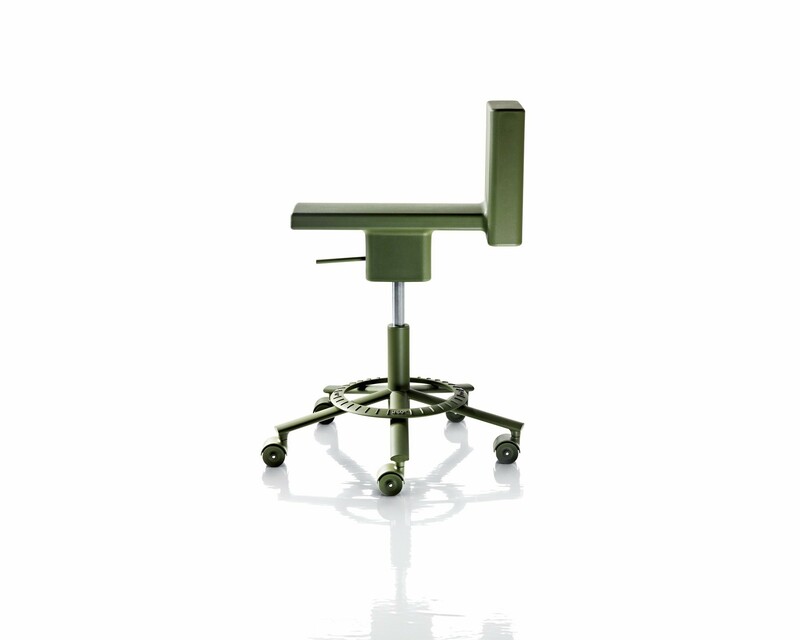 Swivel chair on 5 wheels. Adjustable in height with gas piston. Frame in steel painted in epoxy resin. Foot-rest in die-cast aluminium. Seat in integral self-bearing polyurethane. 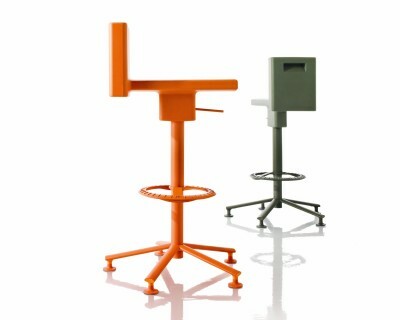 360° is a collection composed of chair, stool, table and container on wheels, which opens the way to a new concept of office work. The chair (and also the stool) 360° is, in fact, an unconventional chair, or it would be better not to call it chair at all, as it certainly has little to do with the common idea of chair. 360° is, in fact, neither a stool nor a chair, but something in-between. 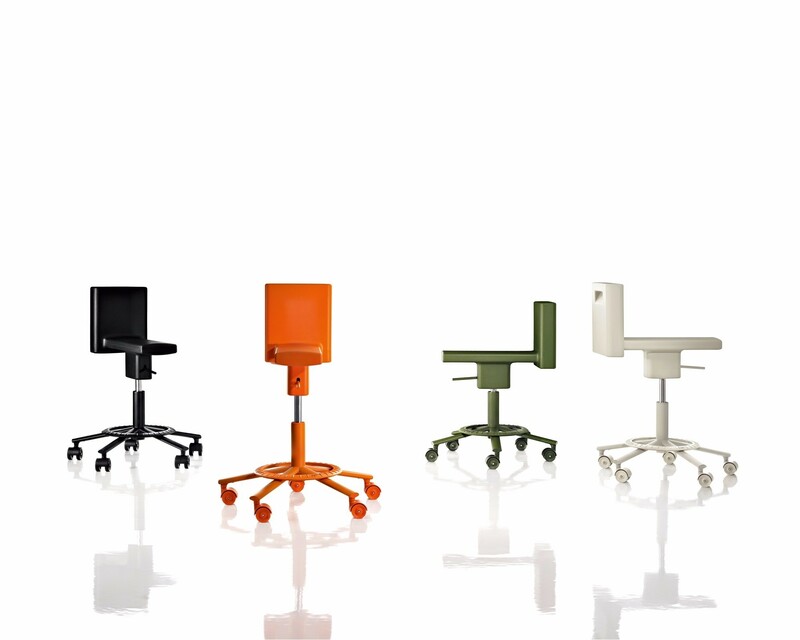 Its name implies that it swivels around and that one can sit on it in all directions. 360° is not intended for long stints of work in a static position, but it encourages a form of dynamic sitting, short term, ad hoc, improvised - moving around. 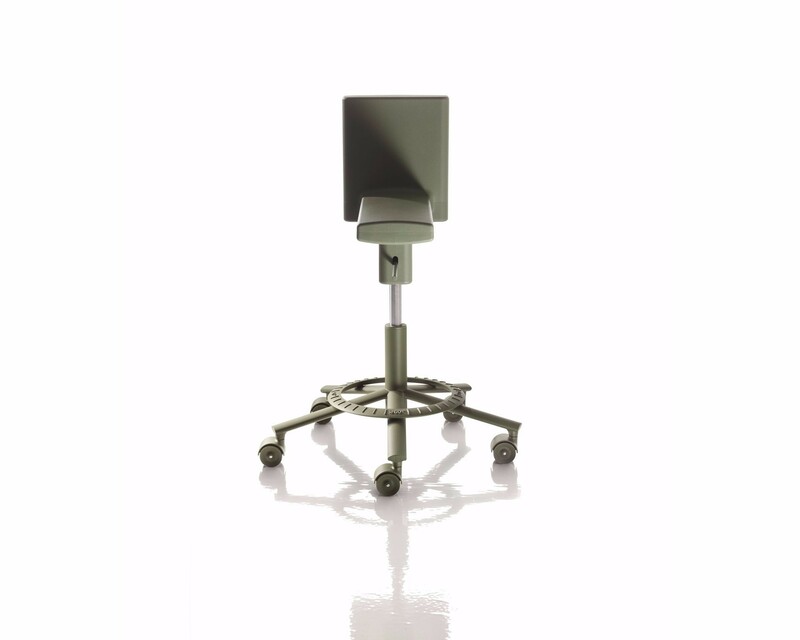 Therefore, it can be considered as a forerunner of the office chair of the future.